Stay updated with our latest discounts, promotions and events. 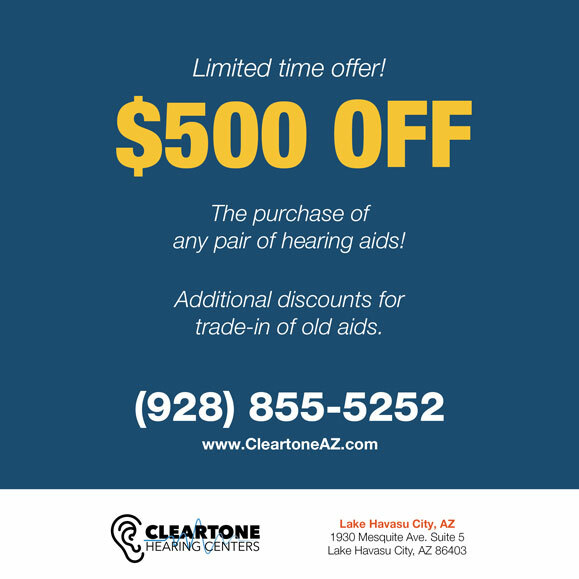 Get $500.00 off the purchase of any pair of hearing aids with additional discounts for trade ins of old aids. Cash for my old hearing aid? You have my full attention. You may have heard of Cash for Clunkers, but never like this. 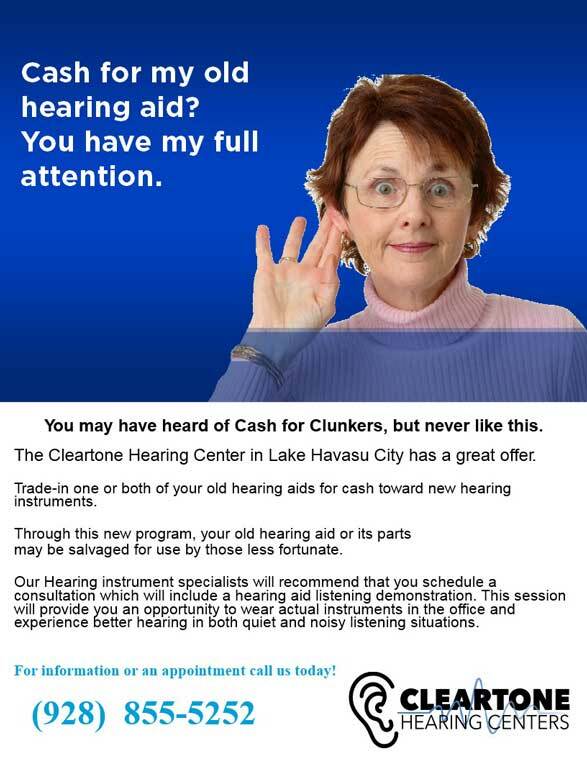 The Cleartone Hearing Center in Lake Havasu City has a great offer. Trade-in one or both of your old hearing aids for cash toward new hearing instruments. Through this new program, your old hearing aid or its parts may be salvaged for use by those less fortunate. Our Hearing instrument specialists will recommend that you schedule a consultation which will include a hearing aid listening demonstration. This session will provide you an opportunity to wear actual instruments in the office and experience better hearing in both quiet and noisy listening situations.